Sweet, spicy, and delicious, this unusual curry features turkey, tomatoes, coconut milk and chickpeas for a memorable and delectable dinner any time! The zesty flavors of curry come together in this savory dish making it a great way to liven up any weeknight dinner. 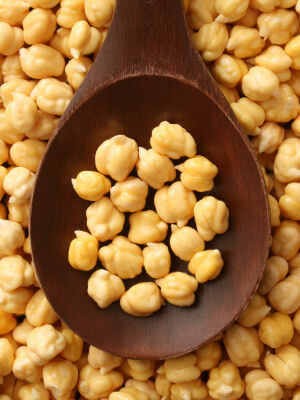 Serve over rice or alongside piping hot naan for a twist on traditional Indian curries; no matter where or how you serve it this Sweet and Spicy Chickpea Curry will be a favorite. In large skillet heat sesame oil over medium heat. Add onion and garlic, and cook until just aromatic, about 3 minutes. Add turkey and cook until meat is no longer pink, about 10 minutes. Add garbanzo beans, tomatoes, curry powder, chili sauce, and coconut milk to turkey. Bring to a boil. Reduce heat, and simmer for 15 minutes. Season with salt and pepper, as desired.